Should you move the database tables manually? Should you move content? Move users? Copy or import anything manually? All these are just the tip of the questions iceberg you might want to have and they seem to bother most of the people faced with migration, therefore it is crucial to understand what is going in the background of the Joomla 1.5 migration, and how to perform it without additional hassle. The most simplest answer you will always get is - absolutely nothing. Your Joomla 1.5 site will remain intact and same as it was. What will actually happen is that after migration, you will have almost two identical sites, running on the same server and sharing the same database while using the different table prefix. To make things even more clear, after migration, your Joomla 1.5 site will run as it was always been running on the site root, while new jupgrade folder which will be created during migration process will contain the new, upgraded version of the site. These two sites will be practically identical, with that difference that NO third-party extensions will be installed on upgraded site. Bottom-line, at some point, we will have two sites running on the same server, sharing the same database but using different prefix. Our old site will remain intact, the new site will be vanilla Joomla 2.5 installation with all the Joomla content such as users, articles, native modules and templates migrated, but, we are going to say it again, no third party extension will be installed, therefore, after migration, be prepared to install a lot of stuff. com_jupgrade-2.5.2.zip - This is the FREE migration tool provided by redCOMPONENT. They are however stopped with the development of this tool and having a commercial replacement now. BACKUP YOUR JOOMLA 1.5 SITE!!! Warning: You will notice that jUpgrade settings are shown in the Double-Negative sense where no & no gives yes. Example: we need to set option Skip 3rd party extensions to No in order to actually enable migration of third-party extensions. SQL Driver - if you used the MySQLi for your Joomla 1.5 site, this is the right place to set it up. If you're not sure what driver is in usage at your site, you can go to site Global Configuration and see what Database Type is set in Server pane. 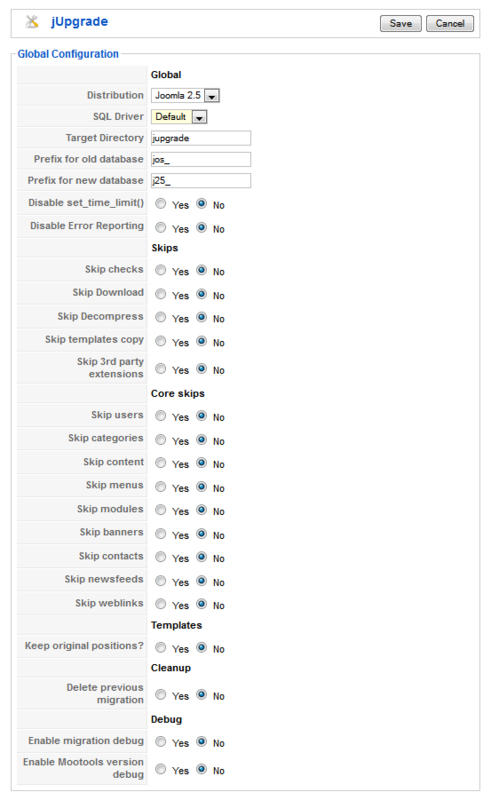 Target Directory - this is the direcory where your new Joomla 2.5 site will reside. leave it to default jupgrade value as we will us it for this tutorial. Disable Error Reporting - Leave this to No. Having error reporting enabled is very important, so you can actually see the error if theres any. Other options should be self explanatory. jUpgrade gives you an option what you want to migrate. For us, it is important that you migrate users and Third-Party components. For the rest of the guide, we will use all other options as set on the picture above. It is now time to hit that nifty upgrade button. Do it and jUpgrade will start the migration based on the settings you selected in the preferences. A series of checks and cleanups will be done first, then Joomla download and extraction, followed with the template and third party extensions database tables migration as well as media and images files. Go to administrator area of the new site and login with credentials of admin user from Joomla 1.5 site. 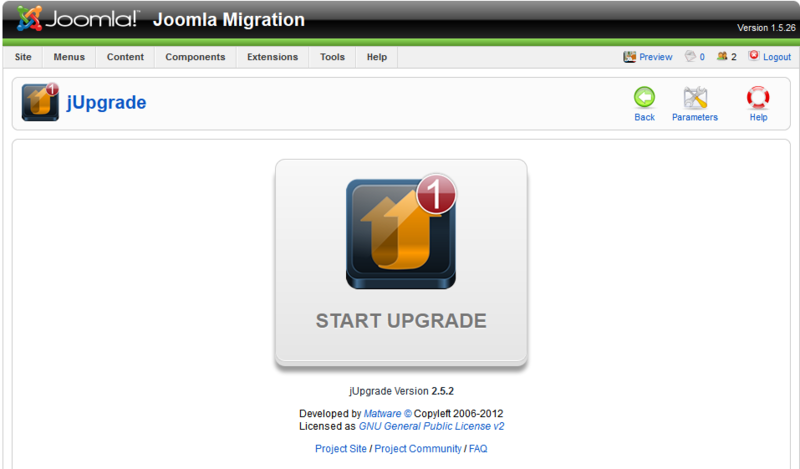 Joomla version that will be installed is 2.5.6 - Update it immediately. Therefore, you will need to change your site template and set back the modules properly, but at this stage, there are more important things to be taken care of. First, make sure that all of your content and users are migrated properly by going into User, Article and eventually, module managers respectfully. NOTE: No third party extension, either component, modules or plugins will be installed at this point. You should only have the basic, clean Joomla 2.5 site, with the content from old Joomla 1.5 site. 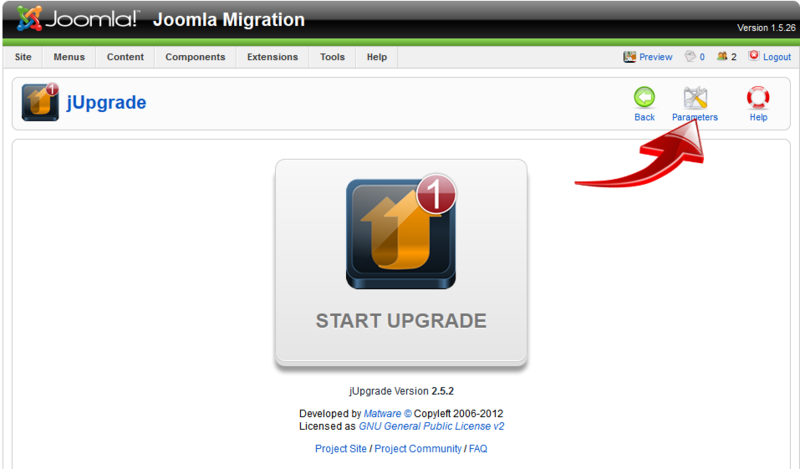 It is now time to install JomSocial 2.6.3 on your new Joomla 2.5 site. Why version 2.6.3? Because thats the one we stopped with on Joomla 1.5 and we want to make sure that our community is properly migrated before we update component.. 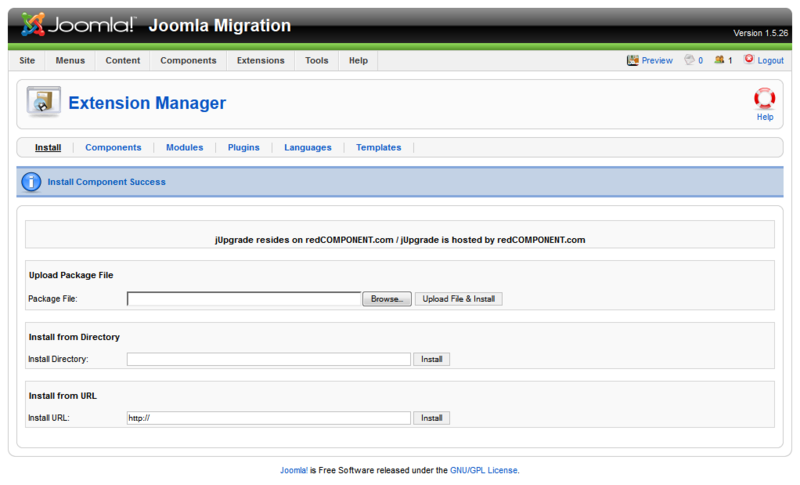 Proceed with the JomSocial.2.6.3 installation and confirm that you community is exactly the same as on Joomla 1.5 site. In other words, confirm that all avatars, picture and video galleries, custom profiles, events groups, friends .... in one word everything is properly transferred. 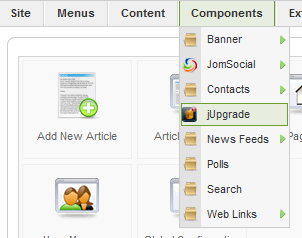 If it is, you can now safely upgrade JomSocial to latest stable version. You probably can, but you must ask the jUpgrade developer what extensions are supported. You can also perform the migration on staging server first and see what database tables are migrated. If the tables of the component you want to bring on new site are successfully migrated too, that will most likely mean you will just have to install that component again and it will work properly.